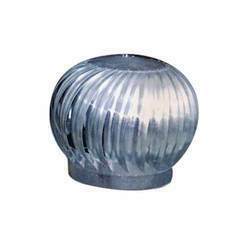 Our product range includes a wide range of roof ventilator. As a regarded and achieved name in the pertinent business, we are putting forth an accuracy designed array of Roof Ventilator. Taking after industry characterized rules, we make the whole variety by using contemporary machines, modernize innovation and prime evaluation unfinished material. Keeping in mind the end goal to verify the quality is best the whole range is strictly inspected upon an arrangement of parameters. Tuned in to customers' assorted prerequisites and wishes, we offer the whole range in extent of details.